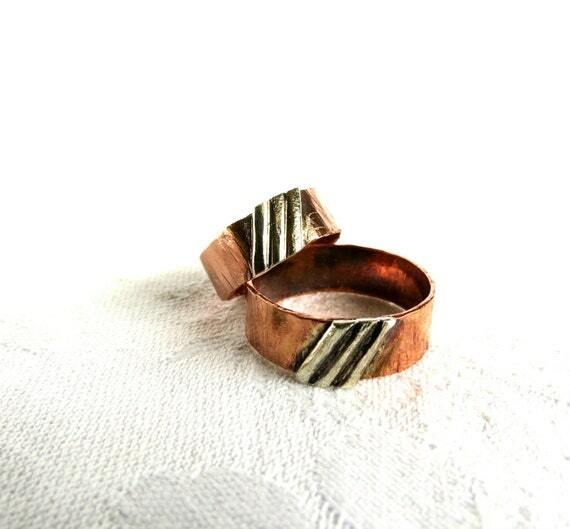 His and hers, rustic rings (use them as wedding rings or not)- I wanted to add sterling silver lines to the basic ring and I changed it up by setting them on the bias (diagonally). I really, really like how they turned out! I always have a deep feeling of satisfaction when I make something and I'm pleased with the overall design; and this is one of those times.